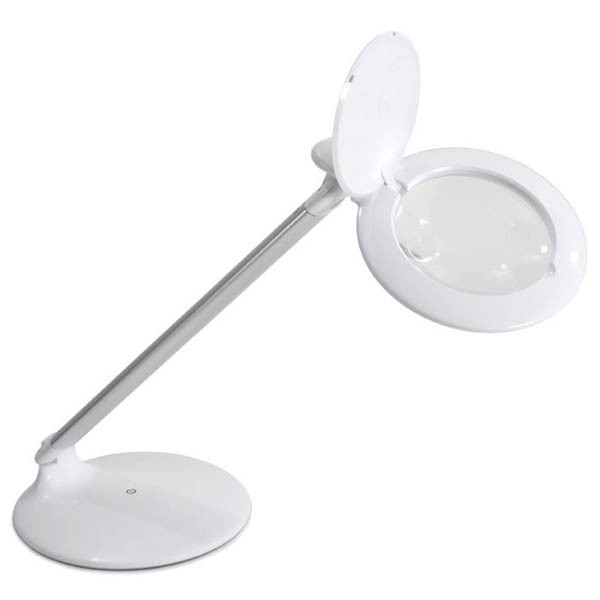 Modern and compact, the halo lamp is an all-purpose lightweight table magnifier, providing 5 diopter (2.25X) magnification with a 12 diopter (4.0X) inset lens. Taking up a small place on your desk, but powerful enough for working on detailed projects that need magnification. With a slim, compact design the daylight LEDs provide high contrast and accurate colour matching. It is also foldable and is ideal for travelling.